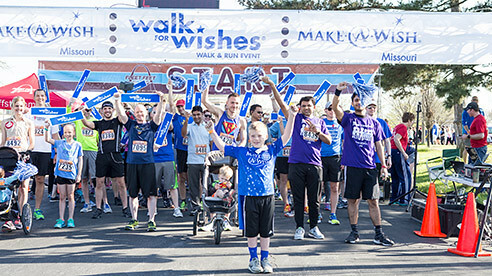 This weekend, on Saturday, April 15th, marks the 2017 Walk For Wishes event in St. Louis, which will be held at Forest Park’s Upper MUNY Lot at 8am. The Make-A-Wish Foundation works to strengthen and empower children who are battling life-threatening medical conditions. All are welcome to join the VdM team for the one-mile walk, or feel free to sponsor any of the walkers with a donation. Read more about how it all started, and we hope to see you on the Villa di Maria Walk for Wishes team. To register for the walk, click here. For more information on the Walk For Wishes, read this.